Ford Mustang Shelby GT350 Vs. BMW M2: Does This Make Sense? Track lap times and drag races help determine the winner. After reading the title above, you’re probably thinking "No way. No." And you’d be right to think that, but dig a bit deeper and you’ll discover that the Ford Mustang Shelby GT350 and BMW M2 have more in common than you’d think. But let’s begin with the differences. A naturally aspirated V8 against a turbocharged inline-six. A mighty 526 hp versus 365 hp. A torsion mechanical differential versus a more complex system that utilizes an electric motor to apply a very specific amount of lock to the differential providing power to the correct wheel when needed. It’s American muscle car philosophy against precise and complex German engineering. So how on earth are these two competitors? Well, they’re both at their very best at the track. YouTube series E46 Reviews with T.H. managed to get a hold of a sample of each of these cars and went immediately to the track, of course. Lap times and drag races soon followed. While the Shelby GT350 could serve as a daily driver, it’s clearly not the best choice for running errands. 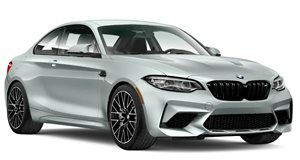 The M2, on the other hand, prides itself on its track-tuned capabilities and also its hospitable manners, the so-called best of both worlds. And if that’s what you’re looking for, fine. You’ll love the M2 to bits. 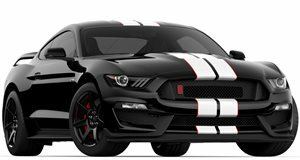 But if you’d be willing to tolerate some of the Shelby GT350’s rough personality, then there’s no reason why it couldn’t be loved equally. As far as those all-important track figures? Let’s just say the results are closer than you’d automatically assume. But there can be only one winner.